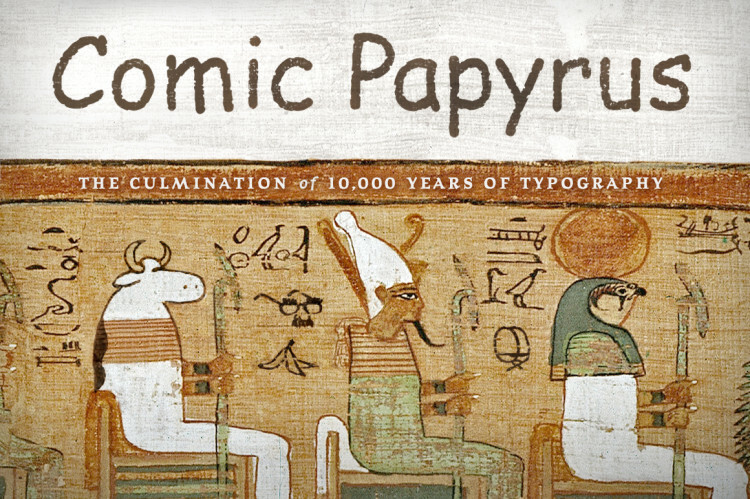 Graphic designer Ben Harman combined the two generally loathed typefaces Papyrus and Comic Sans into the font Comic Papyrus. We previously featured the same concept from Barth and Co, but Harman has made the complete font, including a special character set, available for purchase for $5.00 at Creative Market. 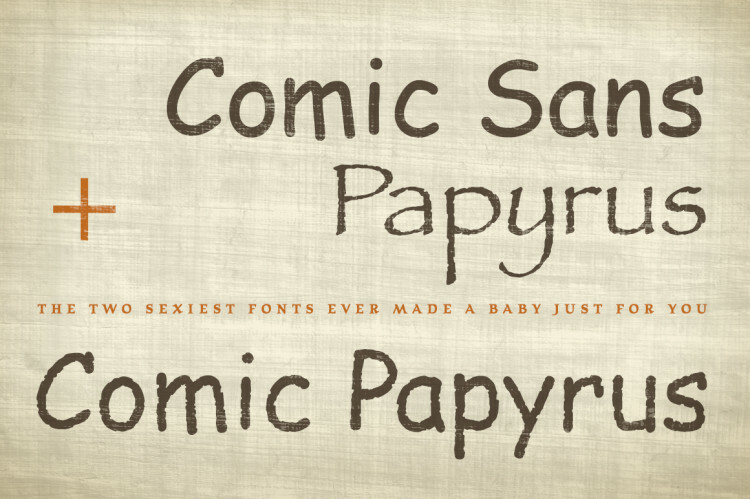 Your two most favoritest fonts ever have FINALLY been smooshed together typographically, just as Darwin intended. Cross-bred. Cross-awesomified. So stop wasting hours switching back and forth between your two old favorites, and just use your new favorite instead. 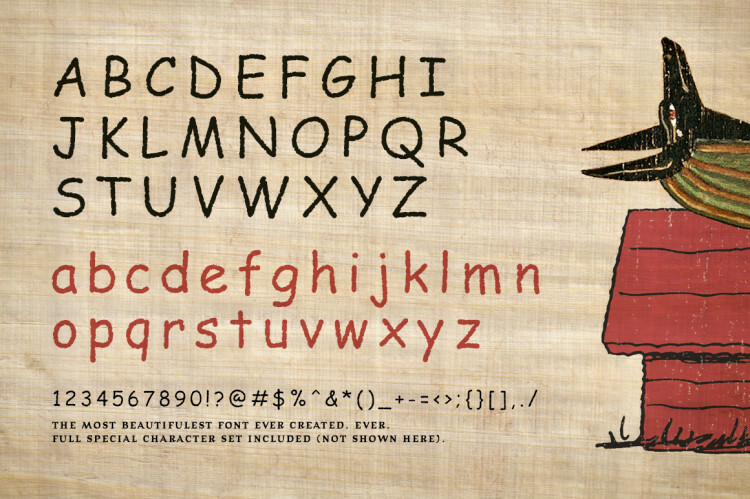 Comic Papyrus combines the timeless rustic qualities from centuries past with the hilarious fun-loving wit of today’s funny pages. It’ll make you laugh (like a joke) and cry (like a mummy). Simultaneously!